The Odd Fellows Hall in New Milford was recently abuzz with the sound of race cars zipping down a wooden track and cheers from the crowd. 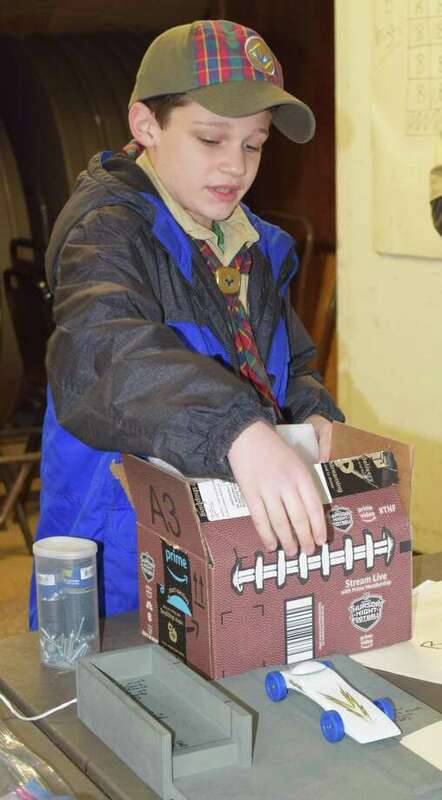 Cub Scout Pack 467 held its annual pinewood derby at the hall on Jan. 28. Scouts from each of the five dens competed amongst one another, with the top three finishers advancing to a final competition between all dens. Races for adults and siblings of Scouts were also held. At the end of the day, trophies in a variety of categories were awarded, as were medals for sportsmanship.